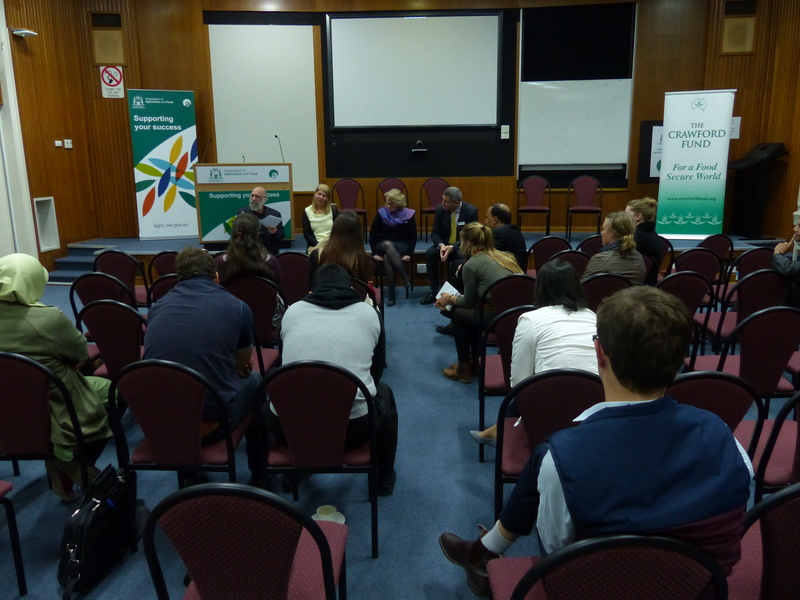 It was recently advertised that a Young Crawford Meeting was to be held in Perth in August, to discuss Opportunities in International Agriculture Research. 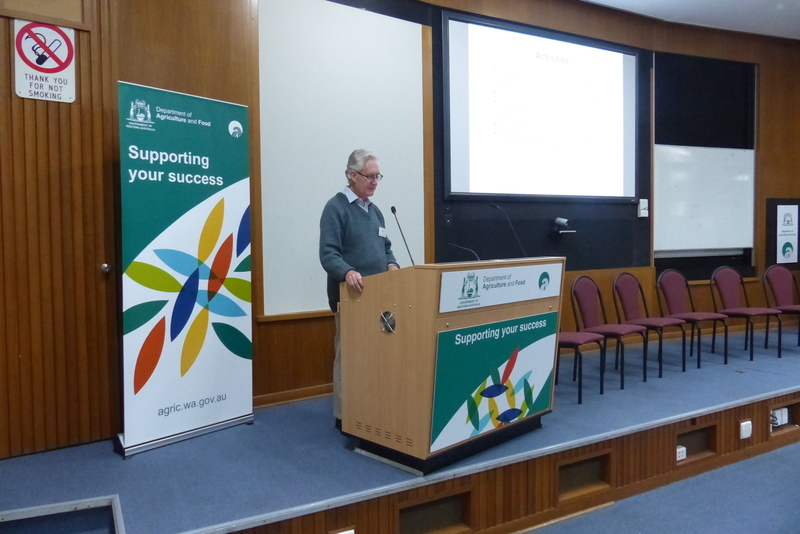 The successful event was held at the South Perth Theatrette on August 6 and included presentations by Prof Graeme Martin, Ms Roslyn Jettner and Ms Dominie Wright. 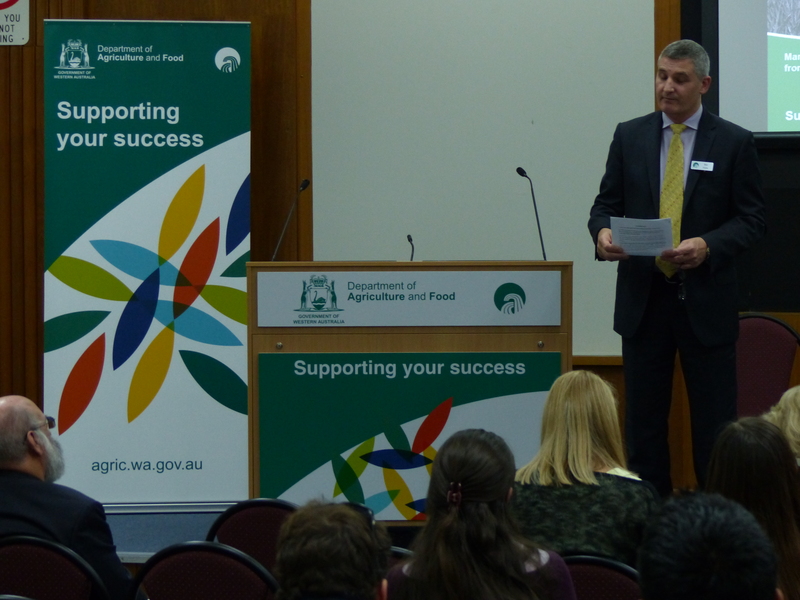 James Ridsdill-Smith, Coordinator of the WA Committee, opened the proceedings and Mar Hube, Senior Policy Officer at the Department of Agriculture and Food WA (DAFWA), provided a history of international agricultural research within DAFWA and introduced the guest speakers. Following the presentations, students were encouraged to ask questions and participate in discussions related to international agriculture research. The resulting discussions were dominated by how to get involved in the international arena when you have limited experience. Time, patience and networking were the advice given to the students. 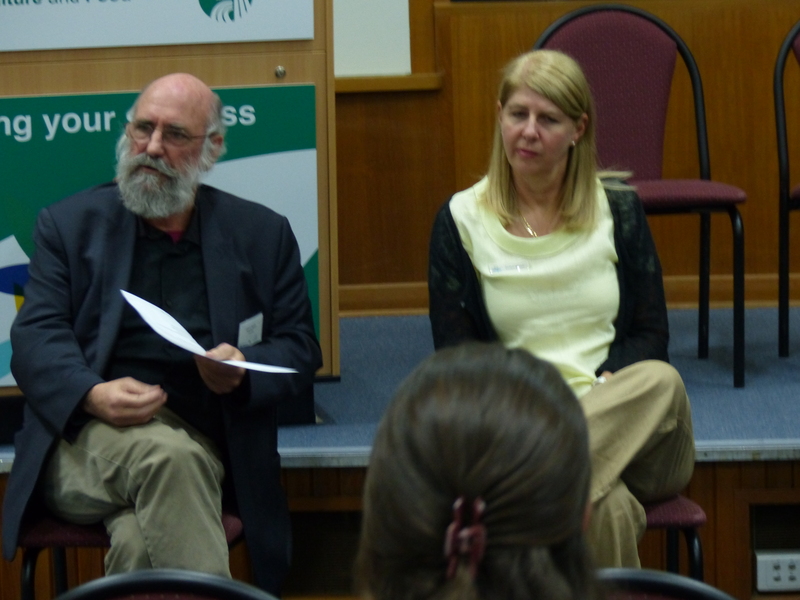 To read more about the presentations, you can access the event report summary here.